Pro General Comments: You kept me listening from the downbeat. It was retro yet contemporary. Great vocals all around. This song would fit very well in movies and television. Romantic break-ups and romantic dramas as well as slow dance scenes. The instrumentation was also authentic to the genre and the performances sounded professional. I can also hear this being included in an R&B album. The song is very commercial in my opinion. I loved both the solo vocal and the background vocals. The arrangement was interesting and entertaining. This took me on a musical journey back in time and then brought me back to the present. Although the lyric is about not finding the right man the music still left me with a smile on my face. I loved it.The instrumental melodic lines added a lot to the overall R&B experience. Mariah Carey would have had a big hit with this song in my opinion. This would have been a big hit with the Fifth Dimension as well. It combines the 70's and the 2000's. Quote From Pro: The High Children are a musical group worth listening to. The melodies, arrangements, vocals and instrumental quality is very high indeed. 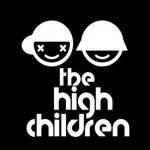 I wholeheartedly recommend The High Children for your listening pleasure.